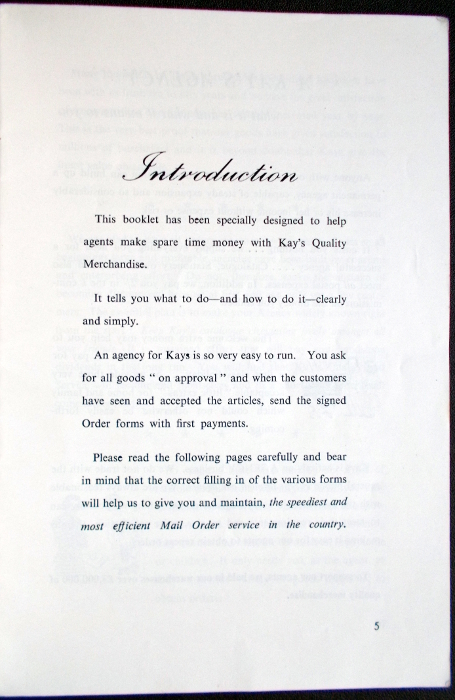 For a large part of their history, Kays used agents as intermediaries between themselves and most customers. 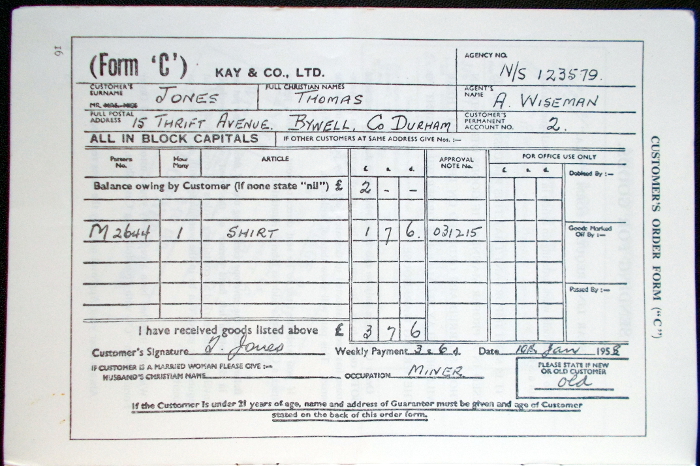 These were people who would show Kays catalogues to their neighbours and friends, arrange purchases and collect payments, generally in return for a small commission or money off their own purchases with Kays. 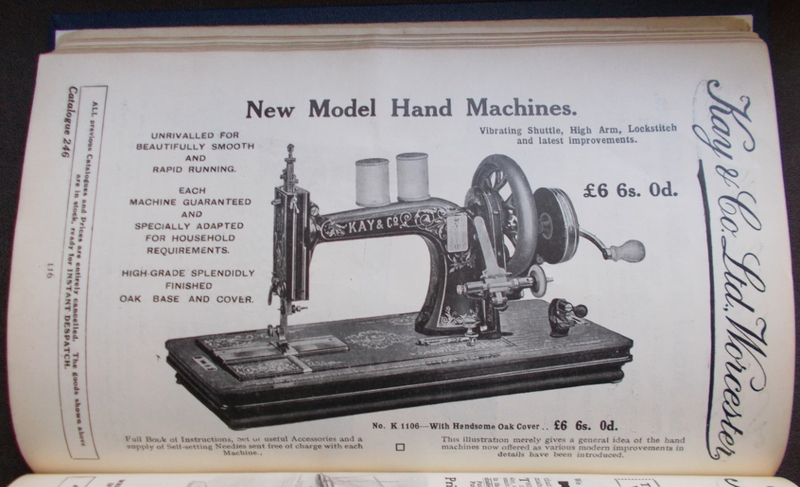 The position grew out of that of the Victorian male watch club organiser, and at first, most agents were men, in spite of the fact that a large proportion of the goods Kays were selling — domestic furniture, clothing and fabrics, mangles and sewing machines — were culturally associated with women. This may in part have been due to the complicated legal position of married women with regard to money. In the early decades of the twentieth century, a man could be seen as responsible for his wife’s debts — depending on the circumstances. Difficulties in interpreting the law meant that sometimes, a lender could find themselves unable to lay claim to money they had lent to a woman, or even under criticism for having dealt with her in the first place. 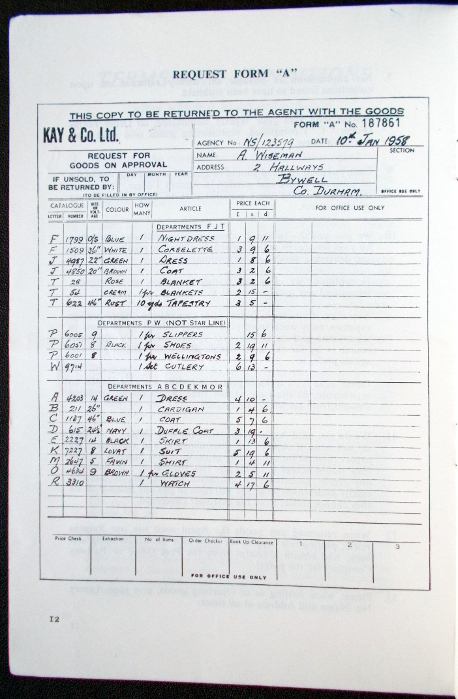 Kays agents not only had access to Kays’ credit system for their own purchases, but also approved other customers for credit and administered their accounts. Given the legal situation, it’s easy to see why Kays would be nervous of appointing married women, at least, to the role, even without taking rampant sexism into account. 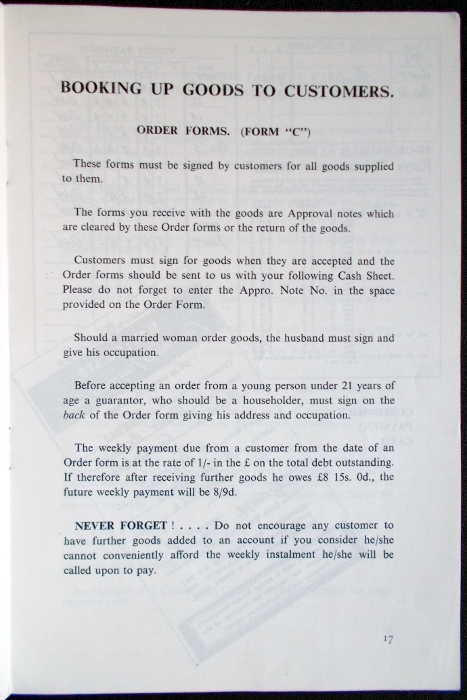 The 1935 Law Reform (Married Women and Tortfeasers) Act removed husbands’ responsibilities to pay their wives’ debts. Whether by coincidence or not, in the late 1930s, there began to be more female agents. By 1960, a female agent was the norm. 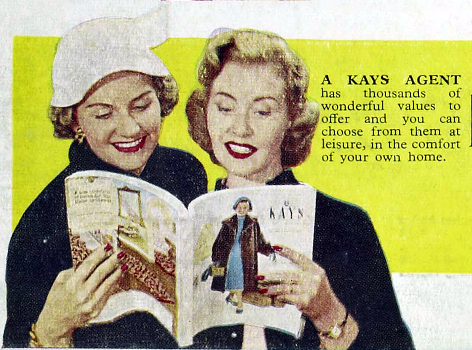 ‘A Kays Agent’, Spring/Summer 1957. Image from the World of Kays project. 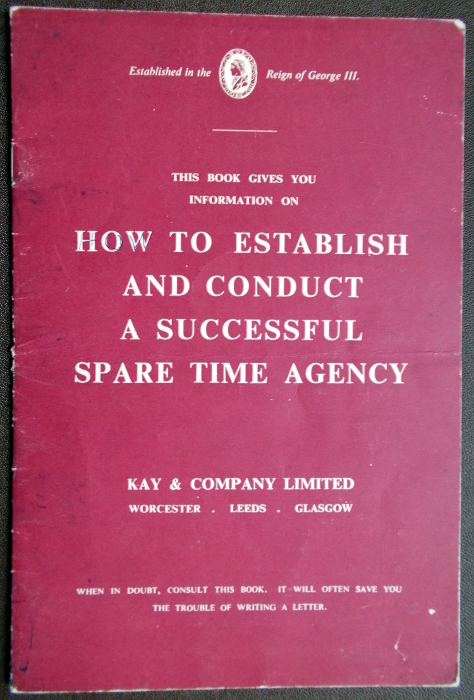 At the University of Worcester Research Collections, we have a booklet that Kays seem to have printed especially for their agents, at some point in or after 1958: How to Establish and Conduct a Successful Spare Time Agency. ‘How to Establish and Conduct a Successful Spare Time Agency’, 1958? An agency, it explains, is ‘so very easy to run’. ‘Introduction’, Spare Time Agency booklet, 1958? ‘Request Form “A”‘, Spare Time Agency booklet, 1958? 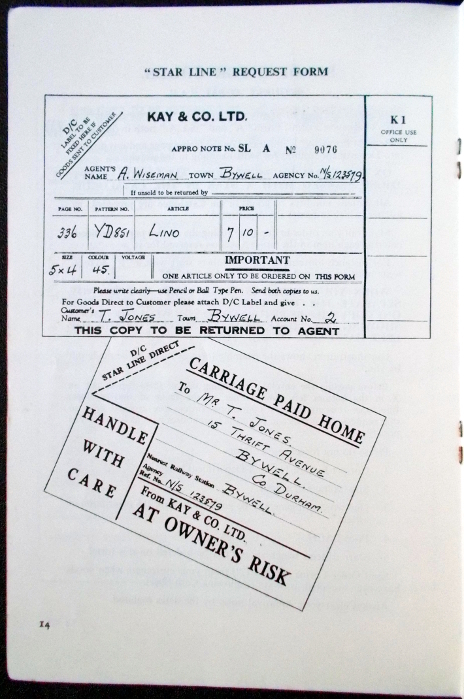 ‘”Star Line” Request Form’, Spare Time Agency booklet, 1958? ‘Form “C”‘, Spare Time Agency booklet, 1958? 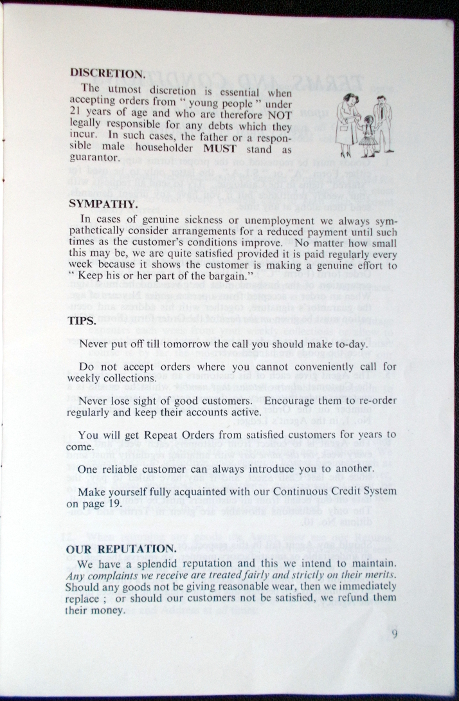 ‘Customers Payment Card’, Spare Time Agency booklet, 1958? 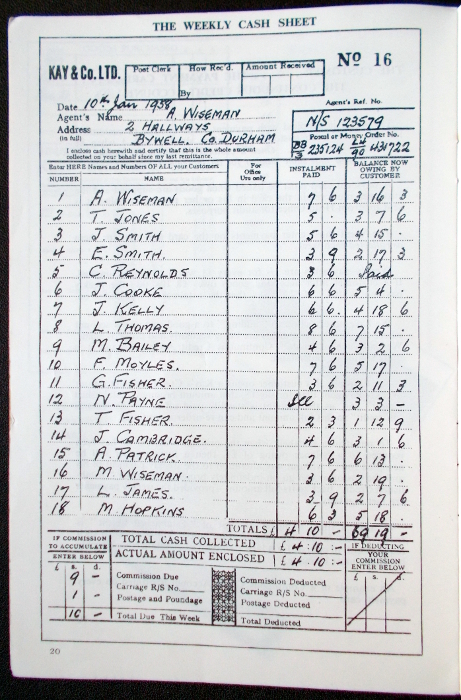 ‘Weekly Cash Sheet’, Spare Time Agency booklet, 1958? It is most important that you know the circumstances, character and standing of those with whom you are dealing. Please satisfy yourself that they are in permanent employment and are honest, straightgoing people. 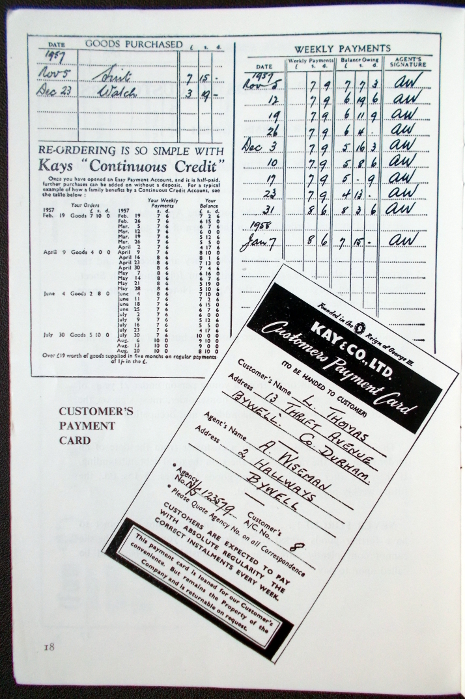 This was because of Kays’ credit system, where customers paid for goods in weekly instalments. They relied on agents to help them avoid taking on anyone who might not keep up with their payments. Agents are warned against ‘doubtful people’. They must ‘exercise care when dealing with lodgers’ — who could pack up and leave more easily than home owners, causing difficulties if they still owed money on their account. And they must supply Kays with ‘facts’ about widows and pensioners, ‘to show their ability to pay’. ‘Secrets of Success’, Spare Time Agency booklet, 1958? ‘Secrets of Success’, continued, Spare Time Agency booklet, 1958? 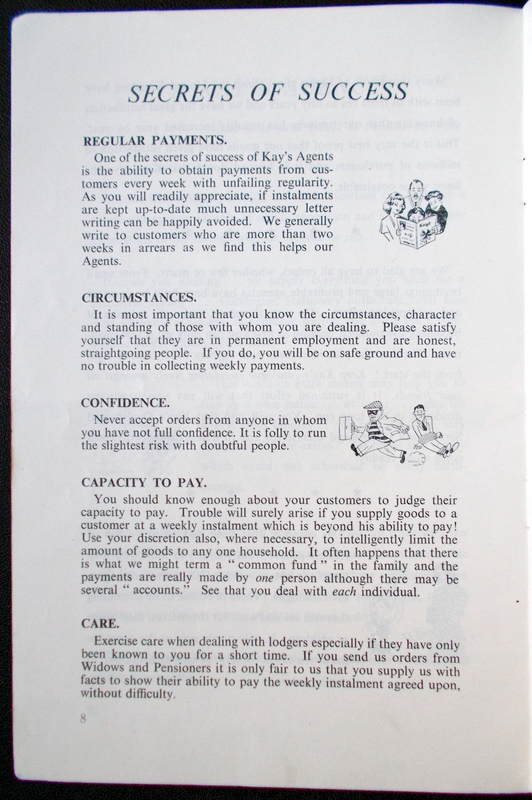 ‘Booking up Goods to Customers’, Spare Time Agency booklet, 1958? I’d love to know how this fits with the legal status of women at the time, and the 1935 Reform Act. If there’s anyone out there who can tell me, please get in touch!